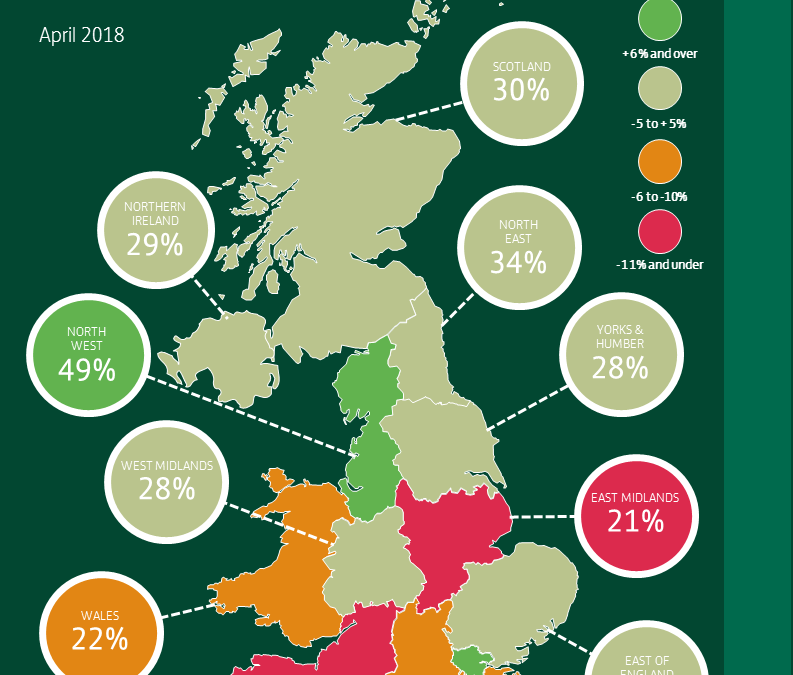 Business confidence in the North East rose 18 points during April to reach 34 per cent, according to the latest Business Barometer from Lloyds Bank Commercial Banking. Companies in the North East report higher confidence in their business prospects at 30 per cent and higher economic optimism at 38 per cent. Together, this gives an overall confidence of 34 per cent, which is 18 points above last month’s figure of 16 per cent. A net balance of 15 per cent of businesses said they felt that the UK’s exit from the European Union was having a positive impact on their expectations for business activity, up nine points on a month ago. Companies’ hiring intentions showed that a net balance of 38 per cent of businesses in the region expect to hire more staff during the next year, up 31 points on last month. Nationally, overall confidence remained unchanged at 32 per cent, although firms’ confidence in their own business outlook fell five points to 31 per cent. Leigh Taylor, regional director for the North East at Lloyds Bank Commercial Banking, said: “To see confidence levels rise across the North East shows businesses are feeling optimistic about the economy. “This increased positivity has also prompted businesses to revive their recruitment plans, a shift in the right direction. Firms in the North East were the third most confident this month, behind businesses in the North West, where confidence reached 49 per cent, and London (43 per cent). Businesses in the South West were least confident, with an overall confidence of 20 per cent, 12 points below the national average. Among different sectors, transport shows the strongest overall confidence (at 56 per cent), followed by communications (47 per cent). The third-strongest industry sector was manufacturing (40 per cent), even though it fell by nine points. The industry sectors with weakest overall confidence were retail, which fell 12 points to 15 per cent, and health, education and public sector (all at 20 per cent). Hann-Ju Ho, senior economist for Lloyds Bank Commercial Banking, said: “The fact that UK businesses’ economic optimism rose this month, against a backdrop of slightly eroding business prospects, is clearly good news.